Meet Daly McElwain, EBI’s recently promoted Assistant Director of Supported Living Services (SLS). 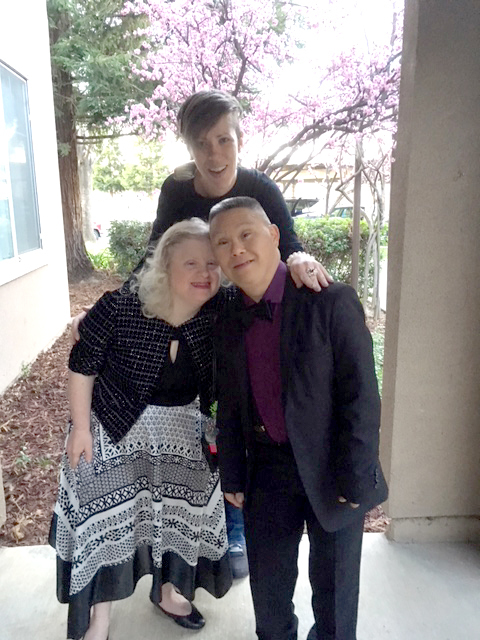 Having relocated to the Bay Area from New York four years ago, Daly wanted to continue the work she’d been doing with individuals with developmental disabilities back east. She moved to Oakland, found EBI, and began working as a Community Support Facilitator in 2014. Talk to Daly and you’ll quickly see her passion for working with people and her ability to identify and respond to each of her client’s unique desires and needs. With humor and patience, Daly supports the wellbeing of the individuals on her caseload and addresses mental health challenges that arise along the way. Whether it’s exploring the reasons behind a sudden behavioral change or finding new ways to assist a client with dementia, Daly approaches each situation with respect, compassion, and a commitment to problem-solving. While she’ll miss carrying a full caseload and focusing intensely on mental health issues once the transition into her new position is complete, she’s pleased about the supervisory responsibilities she’s assuming. When Daly was asked what she liked best about her work, she described how it felt “to be witness to individuals making change.”She also acknowledged the impact her work has had on her life outside of work and how her experiences have led her to be more tolerant in the world, at large. A few fun facts about Daly…. At 19, she opened a coffee shop in upstate NY and was the sole owner/operator. Quite an adventure! She enjoys “board games night” and can be quite competitive. She’s a huge classic movies fan. Anything with Humphrey Bogart or Elizabeth Taylor is right up her alley. Thank you, Daly, for the work you’ve done and will continue to do!